Are you ready for the battle in paintball color shooting arena? So let’s jump into the paintball battlefield arena and enjoy the most addictive paintball shooting war game. Play as paintball shooting combat commando. Paintball shooting Combat is an extremely interesting & wonderful first person shooting fun. The most interesting part of this game is "Beat your best", you have challenge to beat your own score as a challenge to improve your skills towards Paintball battle arena competition. Start a campaign; that will allow you to unlock new fighting arena on maps, real paintball layouts, guns, sports gear. Paintball game specially made for people who likes real guns, paintball, and air-soft Guns. Achieve your gear, use cover, angle your shots and enjoy the most thrilling paintball game in advanced battlefield. Paintball shooting arena has amazing surrounding arena and easy to use gameplay controls. The top paint shooting style game allows for simple controls, but extremely enjoyable gameplay. 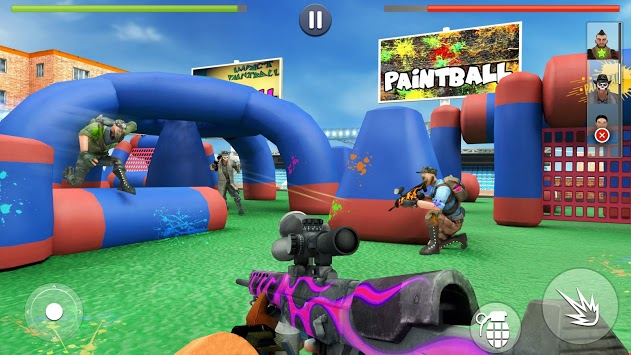 Get into the ultimate counter shooting huge competition in different missions of paintball shooting arena challenge. Paintball Xtreme War Shooting game is developed initially for real gun fighting fan & professional gun shooting teams and players. Load guns quickly into the battle and fight in the middle of your teammates to control the battle field and score the most points. 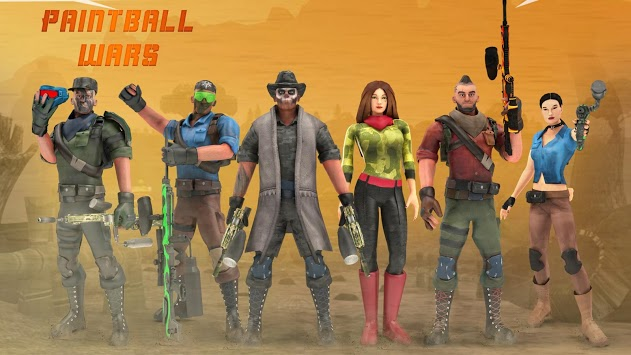 Paintball fight is a real-time 3d single player game where players defeat with paintball guns in each game, there is a reward somewhere in the field, the first player to win the game or the one to eliminate the opponent with continuous shooting. The opponents are spread all around the shooting arena and there is final battle in the paintball battlefield arena. 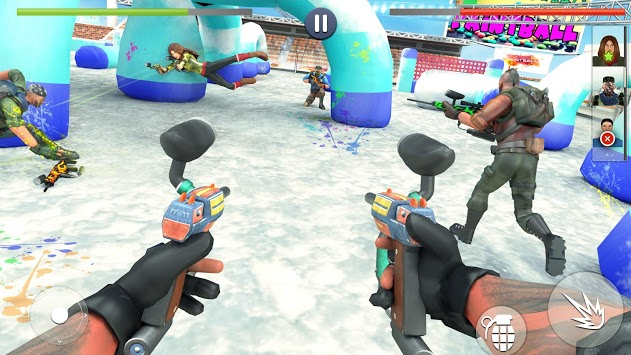 Paintball Arena Combat 2019 is a competitive team shooting sport game in which players eliminate rivals from playground by striking on them with paintball rounds and jelly paint ball pellets. So what are you waiting for? Let’s defeat the rivals with your real paintball gun in battlefield combat to show your pro shooting skills & ultimately be the winner of paintball shooting challenge.